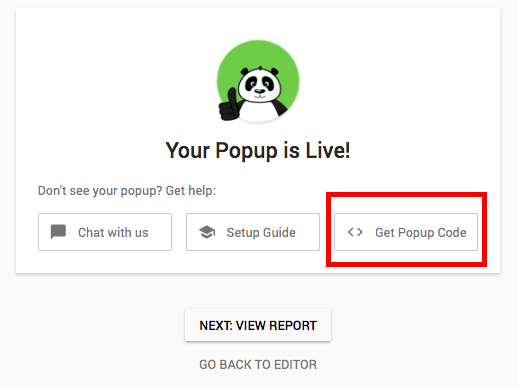 You can easily publish Wishpond popups to your own website by following the steps down below. 1. When you are done customizing all your design on the popup builder, trigger the popup publishing wizard by clicking "next" on the top right of the builder. 2. 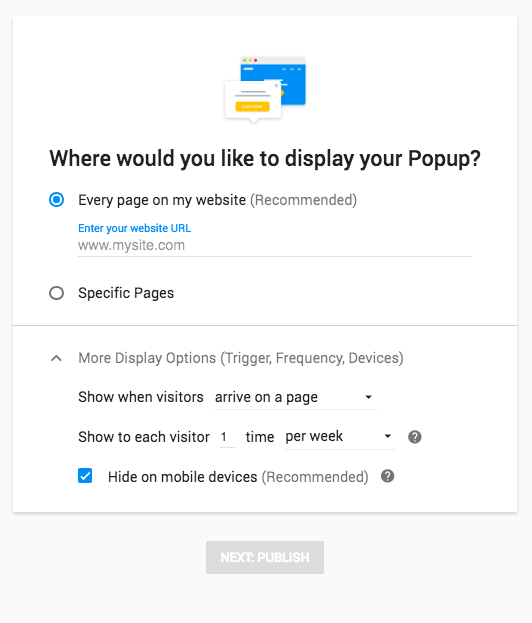 Determine where you would like to display your popup. Specify the url of your page here. 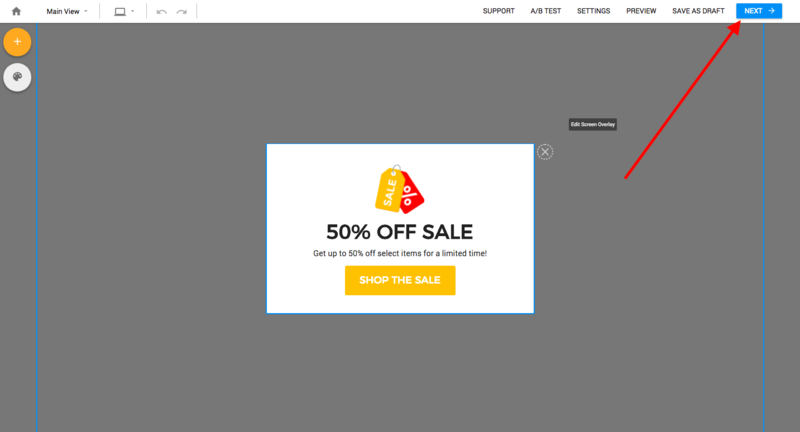 If you would only like to show the popup on specific pages, tick "specific pages" instead of "every page on my website." You can also adjust advanced option (trigger, frequency, and mobile devices) under "More display options." Click "Next: Publish" when you are ready to proceed. 3. 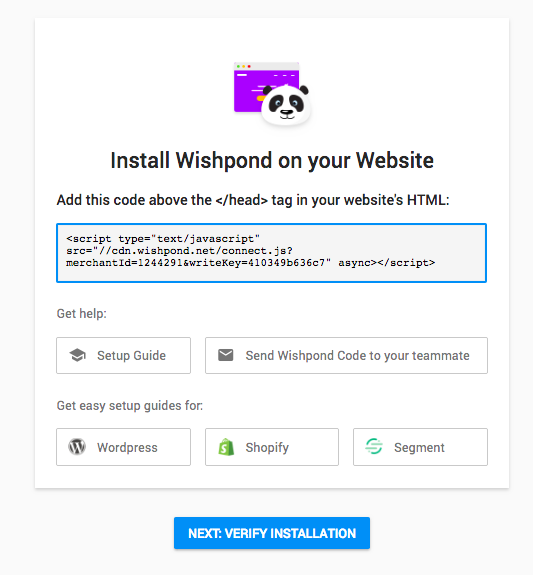 If this is your very first time publishing the popup, you need to make sure that you have installed the popup pixel code to your website (You do not need to install this code to the same website ever again). 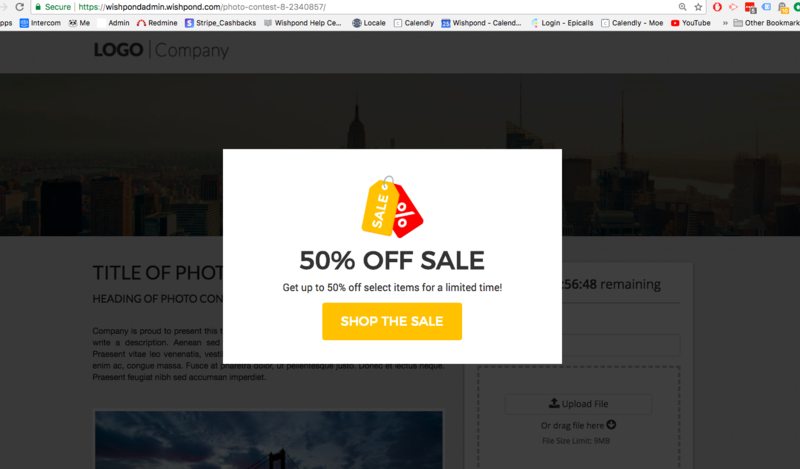 If the tracking code is not installed on your domain, the popup cannot be displayed. 4. You can skip this step if you have already done this before. If not, copy and paste your tracking code to </head> tag in your website's HTML section.